Looks like another great product from Montem Outdoor Gear! 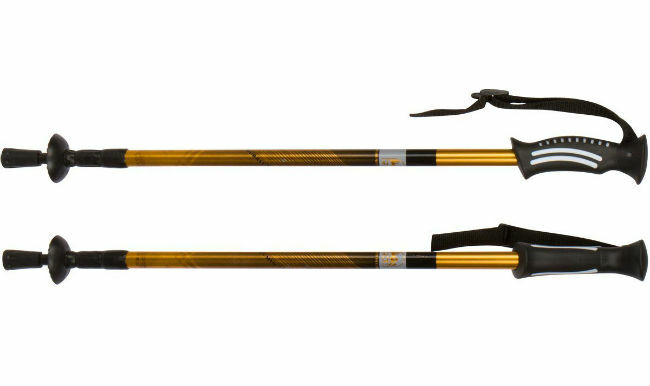 These Montem Ultralight Carbon Fiber Trekking Poles are perfect for hiking, backpacking, walking, mountaineering, snowshoeing, climbing, and all adventure travel. The three piece, ultralight, narrow diameter carbon fiber shafts, reduce weight without sacrificing strength. They were designed to be the strongest and lightest poles available made with 100% carbon fiber, creating ultralight poles that reduce vibration and retain strength over a wide temperature range. These poles are fitted with trekking baskets and durable tungsten carbide tips; including tip protectors. Dual FlickLock pole locking mechanisms allow for easy length adjustment to any length from 24 to 53 inches in length. The slender Montem Ultralight Carbon Fiber Trekking Poles are made of 100% carbon fiber and each pole only weighs 7.6 ounces. Carbon fiber is a natural anti-shock material, so it is useful if you will be hiking in rocky or hard terrain. 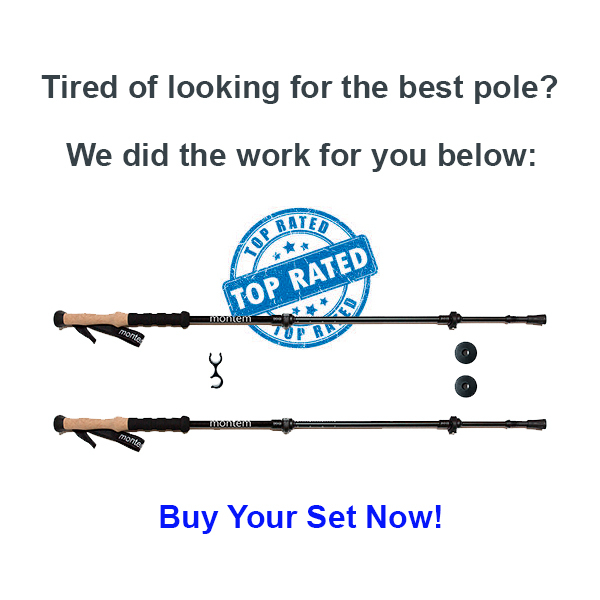 We are usually not fans of carbon fiber as they tend to snap/break under tough trekking and they splinter but these are one of the best carbon fiber poles we have tested. They are super sturdy despite being very light. The grips, designed to be sturdy on the outside and averse to tears but soft and comfortable for the user, are made of dual-density EVA foam. There’s a lower grip area for carrying the poles. Adjustable wrist straps are included and attached – with the added benefit of comfortable padding. In terms of adjustability and features, the Montem Ultralight Carbon Fiber Trekking Poles are much like the Hiker Hunger trekking poles and Montem Ultra Strong Trekking Poles we have reviewed. The same kind of turn and lock device allows you to open and close the poles between 24 and 53 inches. Each hiking pole is fitted with a metal tip and a rubber cover. You also get a bunch of accessories which is not common with other trekking pole manufacturers. There are also trekking baskets which are attachable to the main footing to assist in travels through mud. These seem to work very well in dispersing weight from the poles during muddy hikes. (Alternatives can be found, but it’s important to check pole diameter first.) The features are neat, simple, and reliable. All requirements for a long term hiking pole. They company also sells replacement tips and other replacement tips for different types of hikes (extra durable tips, fitness tips, etc.). 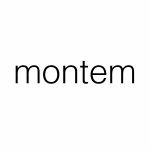 As a relatively new entrant into the highly competitive trekking poles market, Montem Outdoor Gear is coming in with a passion not seen for quite some time. They want to validate themselves as one of the top tier poles for both serious and sparse hikers with their different models. Montem trekking poles are designed for moderate trekking, but owner feedback suggests that some have pushed them through quite difficult terrain and come out the other side still smiling! With one of the highest weight thresholds, adjustable heights, and extended grips, they tackle many tasks and terrains. Upon initial testing’s, many new owners will suggest Montem’s initial foray is of higher quality than most manufacturers’ “best.” Built for people who regularly take on the toughest outdoor challenges, as well as people who peruse the streets (looking at you, Nordic Walkers), these are seriously good poles. If you want high-end hiking poles for a great deal, you’re in luck. At Amazon.com these are one of the best deals you’ll get on high end trekking poles. These poles are comparable to the Black Diamond Alpine Carbon Fiber Poles that are almost double the price. Many trekkers and climbers would argue that there are actually very few manufacturers that offer hiking poles of the Montem’s high standard. They’re comfortable, strong, and light. 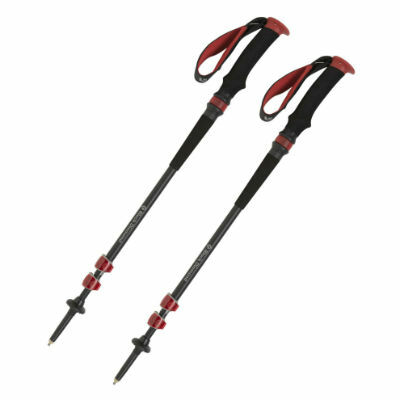 Montem Ultralight Carbon Fiber Trekking Poles are a great deal for the value they provide. From committed outdoor enthusiasts to local strollers, these poles will offer a great work out, as well as a sturdy base you can rely on. For the price, it doesn’t get much better than this.